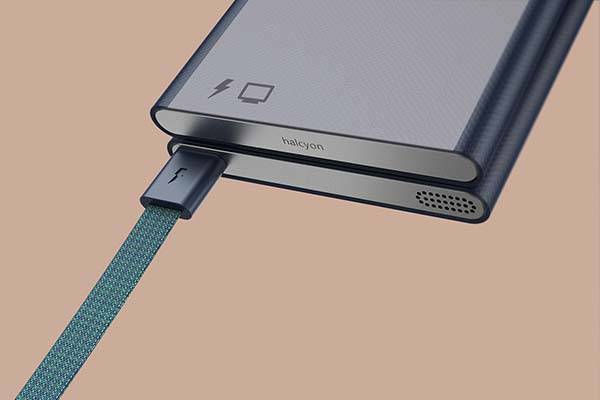 Halcyon bendable phone is designed to help us reconnect with real people using simple messages and calls instead of developing online persona. Like the concept? Let’s have a look. 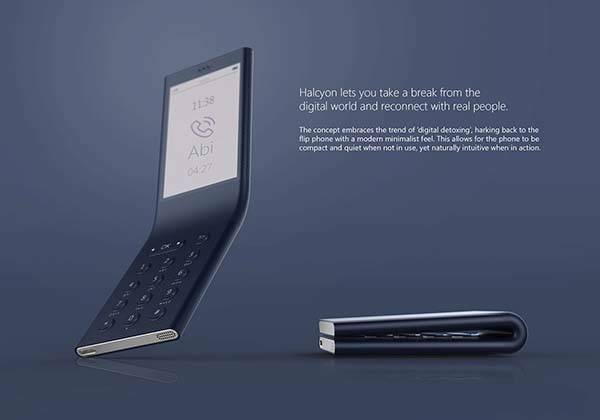 Mike George, an industrial designer from UK came up with the innovative and eye-catching concept handset named halcyon. 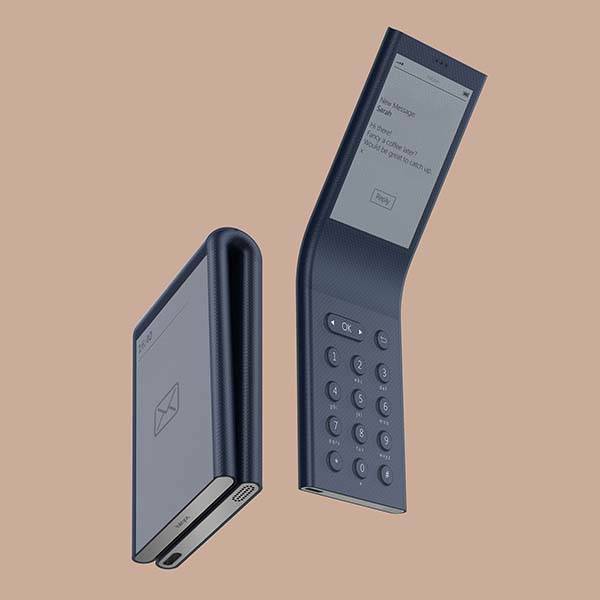 As shown in the images, concept phone shows off a bendable design, and unlike any flip phone on the market, its hinge has been built in its unibody-style casing, which delivers a stylish and minimalistic appearance design. 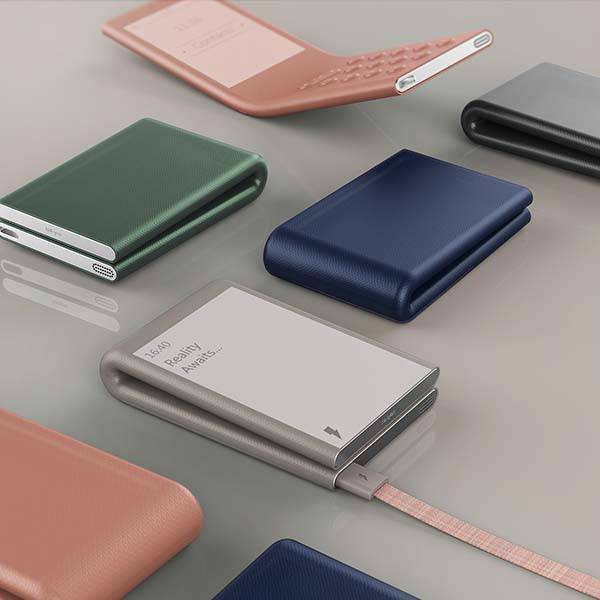 Meanwhile, the ultra-slim form factor, smooth sides and texturized exterior let you comfortably hold it in your hand. 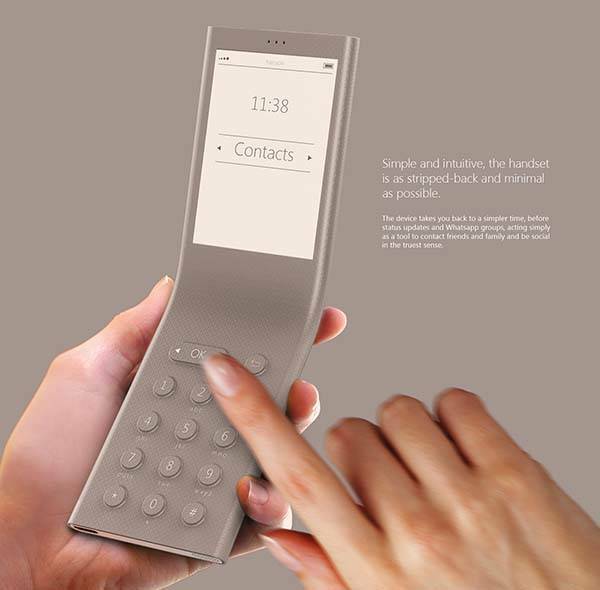 The bendable phone focuses on setting us free from smartphone addiction, so it just allows you to contact with others via messages and calls, and the classic keypad lets you easily start communicating with others. 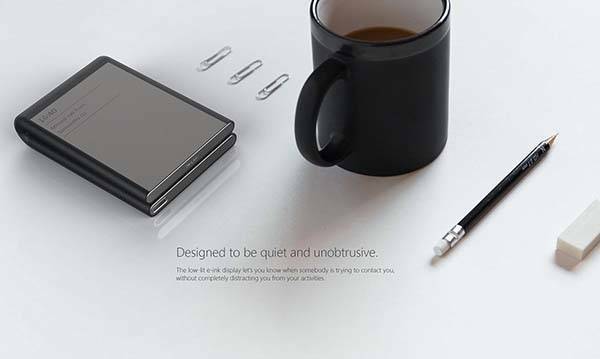 Moreover, an extra external E-ink display lets you know when somebody is trying to contact you. After the break, check out the images about the concept.